Complex oolong leaves fuse with apricot tones to form a light, sweet beverage which will elicit a sigh of pleasure. 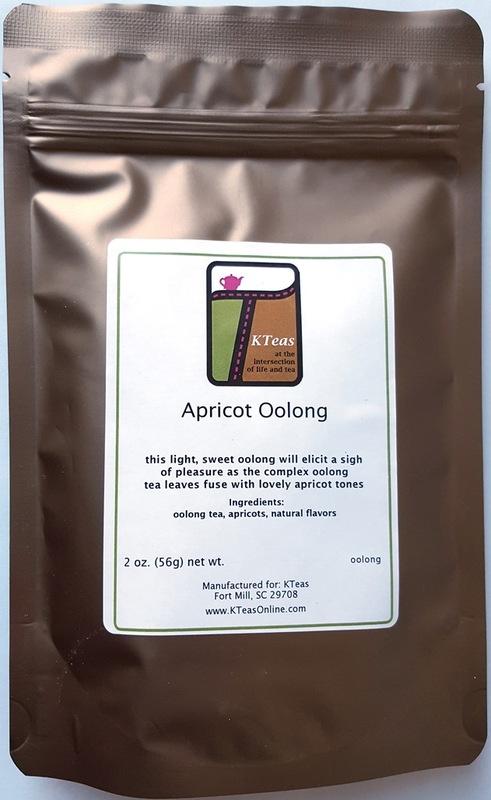 Ingredients: oolong tea, apricots, natural flavors. Preparation Guidelines: 1 teaspoon (2.5 to 3 grams) tea leaves to 8 ounces nearly-boiling water (180-190°F). Steep 3 to 4 minutes, or to taste. Remove/strain leaves from beverage. Add sweetener if desired. Milk not recommended---but feel free to explore on your tea journey.